Security Clearance Battle Intensifies With Report Trump Helped Jared Kushner Rep. Elijah Cummings said he would intensify his efforts to investigate the Trump administration after The New York Times reported that the president overruled aides on Jared Kushner's clearance. White House senior adviser Jared Kushner has been at the center of a controversy over security clearances. The New York Times is now reporting that President Trump intervened to get Kushner clearance against his aides' advice. Rep. Elijah Cummings, D-Md., chairman of the committee, launched an investigation in January into the White House's practices in awarding clearances to top aides. On Friday, he said he's accelerating those efforts following a report that President Trump intervened to grant access to his son-in-law, Jared Kushner, over aides' objections. Cummings says the radio silence he's gotten so far from the White House is unacceptable. "To date, the White House has not produced a single document or scheduled a single interview," he said. "The committee expects full compliance with its requests as soon as possible, or it may become necessary to consider alternative means to compel compliance." Translation: Cummings and majority Democrats may try to compel material from within the administration that tells the story of Trump's clearance practices, especially two key memos that were described on Thursday in The New York Times. Former chief of staff John Kelly and former White House counsel Don McGahn both went so far as to describe in writing their objections to Kushner getting a security clearance, the newspaper reported — but Trump overruled them and other national security officials and authorized one for him anyway. "If true, these new reports raise grave questions about what derogatory information career officials obtained about Mr. Kushner to recommend denying him access to our nation's most sensitive secrets, why President Trump concealed his role in overruling that recommendation, why General Kelly and Mr. McGahn both felt compelled to document these actions, and why your office is continuing to withhold key documents and witnesses from this committee." Trump; Kushner's attorney; and Trump's daughter Ivanka, who is also Kushner's wife, have said the president wasn't involved with arranging the clearances. A spokesman for Kushner's attorney said on Friday that the explanations given about Jared and Ivanka's clearances were accurate based on the information available then, suggesting that if Trump had intervened, they didn't know that at the time they discussed it with reporters. 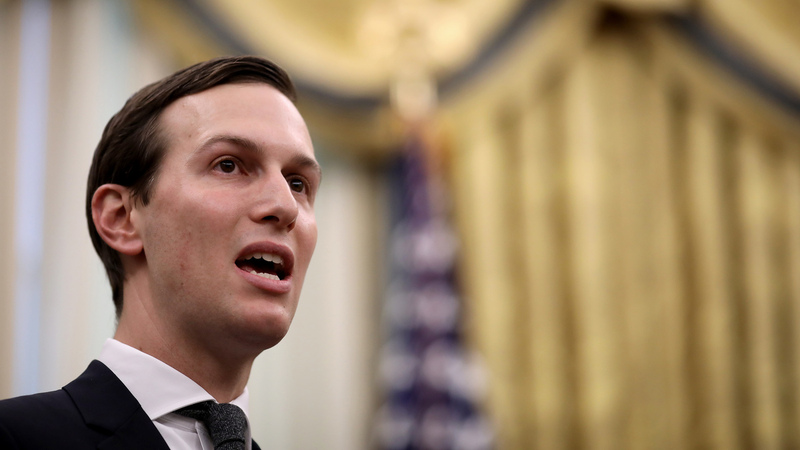 "In 2018, White House and security clearance officials affirmed that Mr. Kushner's security clearance was handled in the regular process with no pressure from anyone," said Peter Mirijanian, a spokesman for Kushner attorney Abbe Lowell. "That was conveyed to the media at the time, and new stories, if accurate, do not change what was affirmed at the time." The White House said it would not comment on security clearance matters. The oversight committee said on Twitter that the White House wouldn't confirm or deny that the memos existed. In the past, Trump has rejected the premise of Democrats' investigations as "presidential harassment," and his administration isn't expected to cooperate by providing witnesses or documents. In the event that Cummings tries to use a subpoena, Trump also could assert that the materials he wants are shielded by executive privilege, which permits an administration to keep some of its internal workings out of the public view. That would likely lead to a dispute in court. National security authorities investigate people in the White House who are nominated for access to classified information, but the president retains the power to authorize whether or not they get it. The clearance issue has dogged Trump since the beginning of his presidency, partly because of a slow, backlogged investigation process and partly because of suggestions that he has overruled national security officials in the past. Director of National Intelligence Dan Coats has argued that only people who merit access to sensitive information should get it. Sen. Martin Heinrich, D-N.M., asked him about that at a hearing in January following earlier reports that Trump has awarded clearances to people against the advice of the national security establishment. "Would you still recommend minimal access to classified documents to those White House officials since FBI experts recommended that they not be given those top-secret clearances?" Heinrich asked. Yes, Coats said: "I do support providing all the information necessary for not only the White House, but for all of our branches relative to providing security clearance," he said. "They have the authority to do that. We issue guidelines in terms of what ought to be adhered to." FBI Director Christopher Wray also was asked about the clearance process; he explained that the bureau simply serves as a vendor for its client — in this case, the White House — but one without the power to determine who should or should not gain access to secret information. "What we do is we assemble the information," he said. "We provide the factual information. We do not actually make recommendations one way or the other about the clearances. The decision about what to do based on those facts is entrusted by long-standing process to the requesting entity. So we provide the information, but then they make the call."